I had no idea that the library could affect your credit report/score. That’s crazy. At least they took it off the report though once you returned the book. I’m always wanting/needing to be more organized come tax time but it never seems to happen. Maybe 2014 will be the year. Dude, the library got me. I moved to a different state and they sent a lot of notices to my old address apparently…. but I had my mail forwarded and somehow never got them. It was drama, haha. These are some good points. I usually just get a manila folder and label it with the tax year. Then, I just add whatever documentation I need for throughout the year. I can understand though that being self-employed probably requires a lot of documentation of income and expenses. Yes I’m trying to do all my January documentation now and so forth so I keep on track! 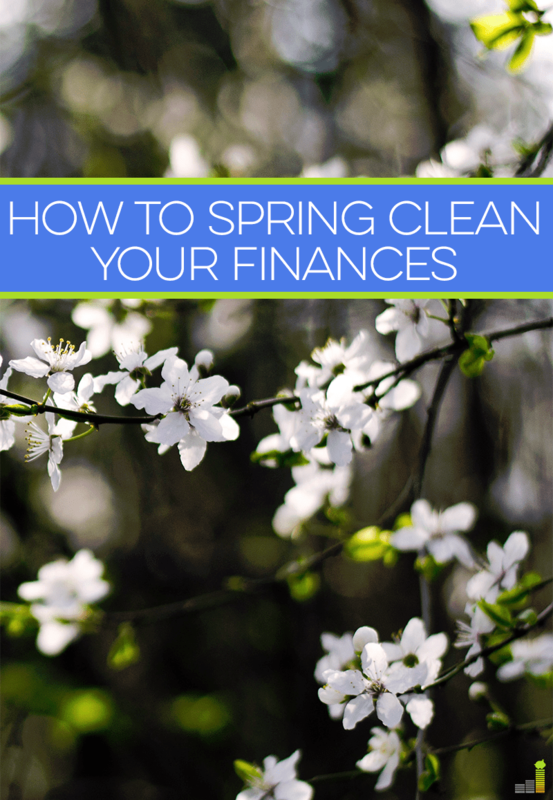 These are some good tips, and I was actually just thinking about “spring cleaning” my finances recently. It would be nice to get that stuff out of the way before the weather gets nice and I have outdoor projects to work on around the house. Right? I’m am in a crazy cleaning mode right now. I wish I could bottle it up and use it all year haha. I think that spring cleaning is an excellent exercise no matter what time of year. It is a great way to dust off your life and realize what you need, and I completely agree that you should do it financially as well. I completely agree about checking your credit score. I have an email reminder to check it every few months because you never know when something might pop up. So true. It always gives me anxiety to check my credit report after the library debacle! A few times a year we look back at our spending to address any outliers. Usually there are one or two categories on which we can cut back. Like you, we’ve also automated our savings and paying of bills. We monitor our accounts frequently, so we not disengaged. But, having all this automated ensures that we pay ourselves first and that bills get paid early or on time, thereby increasing our credit scores. Helpful article. Thanks! I would call these people “wrong.” How do you get ahead if you don’t automate at least your savings? Lol, I love your way of thinking Joe! Ha well obviously I looove me some automation but I guess some peeps just have to have a lot more control and like to push the buttons themselves? I don’t know. The less I have to do, the better lol. When we moved into our new house, I went through all of our files as I put them away and got rid of stuff we didn’t need anymore. A lot of it didn’t have anything to do with finances but some of it did. I feel so much better now that we’re not keeping oil change records on cars we don’t have anymore. Oh man, I think I have some of those in my car…. gotta work on that while the nesting is strong haha. My wife and I checked our credit report this year and have made a point to check it each year. It is especially important because all we have to do is use our credit card and our important information can get hacked. My spring cleaning always consists of getting ready for my taxes. I hate doing taxes, but it is what it is! I just cleaned out my filing cabinet and shredded about three garbage bags of stuff. It felt really good to get that done. I also just got a new app that is supposed to scan and categorize receipts. We’ll see how well that works! I’m getting into the habit of checking my credit report every 4 months instead of checking all three at once. We are big believers in automating our savings! We also automate our debt repayments so that with every paycheck (we get paid every two weeks) we send a payment to the student loan companies and the mortgage company. We end up paying extra on each that way AND it comes off the top of our paychecks so we never have an excuse to NOT do it! That’s pretty convenient! Love it! Doing taxes as self employed is such a headache! Last year was my first year doing it, so hopefully this year will go more smoothly. Organization is key! Yes I am finding that out haha! Ooh wine and chocolate. Soon I will be right there with ya! 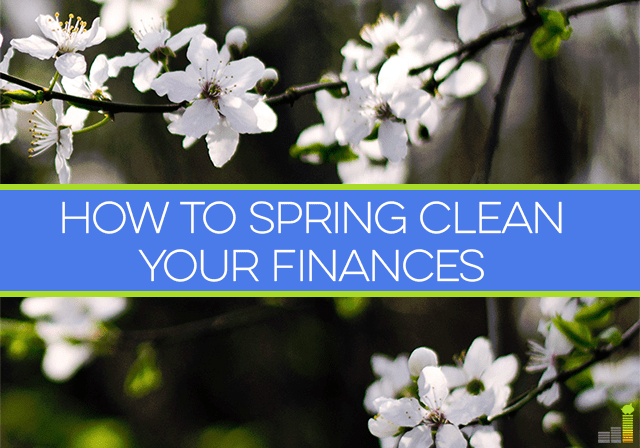 We spring clean our finances every 3 months. It has been one of the most beneficial things for our family. Nice!! That’s a good idea! Because my income is so changeable, I can’t automate my savings. But I do have my paypal linked up to my savings instead of my checking. So if I need my side hustle icome in checking, I have to move it an extra step THROUGH the savings account. This is a good reminder to order a credit report. I already have automated savings and it works really well. I don’t have to think about it and the money is transferred into my retirement accounts and savings categories.